The pioneer PPP project with the state of Minas Gerais, concluded in 2010, was responsible for a great number of outputs and outcomes. Investments by the private sector of over R$ 3 billion (approx. US$ 1.5 billion), from 2007 to 2017, leveraging more than US$ 2,350 in investments per each US$ 1 of MIF resources donated to the program. Building on these results, and involving the Brazilian Federal Government, the project with the Federal Ministry of Planning engaged three Federal Government Agencies and 7 of the 27 Brazilian states. The program trained 1.7 thousand public servants through events organized in 11 state capitals. Three projects were developed, two of them innovative projects focusing on logistics and education, and three others are currently in the bidding process. 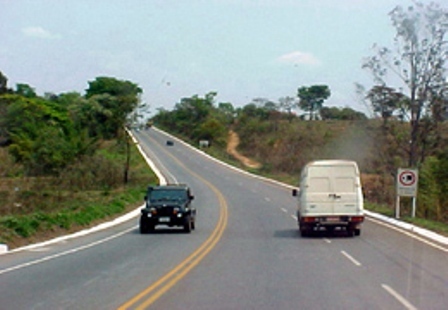 Complementing the MIF strategy in Brazil, the third project took public private partnerships to the municipal level. Understanding PPP processes more broadly, the MIF produced a study to understand the alternatives of partnership and their legal framework. The program is now piloting innovative projects with five different municipalities . With these three different experience, the MIF-PPP team in Brazil is aiming to create new channels and motivate new players to develop and disseminate knowledge. MIF and Latin Finance signed an agreement to develop the “The Brazil Sub-Sovereign Finance & Infrastructure Summit”. The event will bring together state and municipal government officials with the Federal Government, investors, financiers, project-sponsors, concessionaries and operators for a two days of informative presentations, private 1-1 meetings and practical workshops. The inaugural Summit, co-hosted with the State of Minas Gerais, and in partnership with the MIF, will examine how private and public sector capital can be efficiently deployed for infrastructure projects at the state/municipal level in Brazil. The event will explore innovative project/financial structures such as Private Public Partnerships (PPPs), and address how these structures can be used in the development of Brazil’s infrastructure. The event will be held in Belo Horizonte, in the State of Minas Gerais, from 12-13 June. For more information you can visit the website. Hopefully, the experiences the MIF has gathered over the last couple of years will provide useful. What do you think are the key trends in the field of PPP, and that should be discussed during the event?